The ultimate social library for all generations. 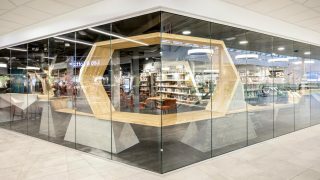 The idea behind the brand-new Deichman Stovner library in Oslo (Norway) strays far away from the traditional approach of dividing a library into sections based on age for its visitors. 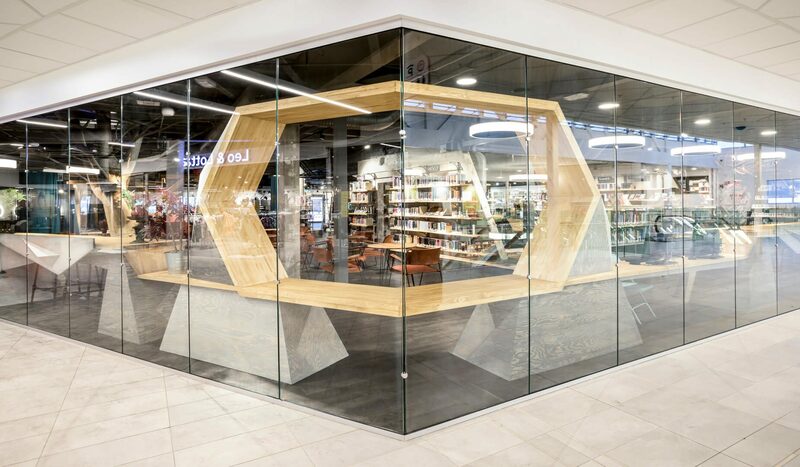 Instead, this library is based in a shopping mall and functions as a multipurpose space for all ages with an interior extraordinaire that reflects the rural roots of the library’s environment: the Oslo city woods. 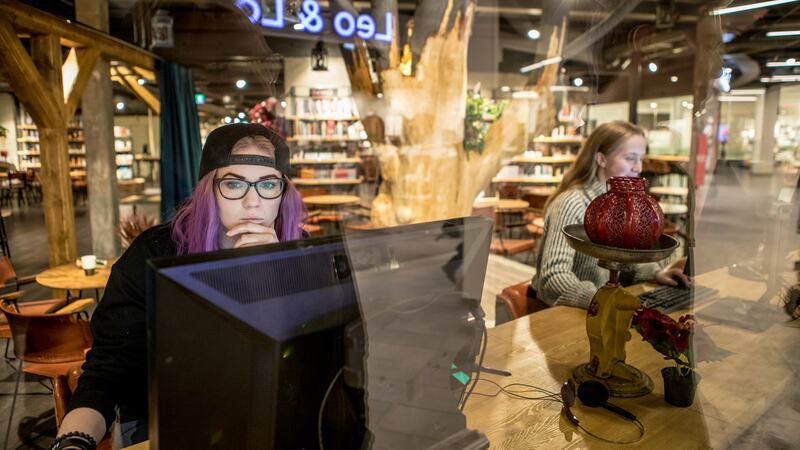 Deichman Stovner Library is a branch of Oslo Public Libraries (Deichmanske Bibliotek). 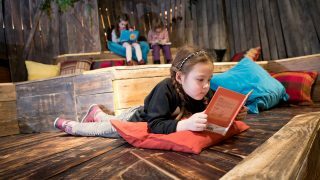 The library spans 1,100 m2 in Stovner Center, which is found on the fringe of the city of Oslo, where forest meets civilization. The shopping center has a strong social function in the neighborhood; it’s one of the few places in the area where locals can go to do their daily grocery or other shopping, as well as meet & greet for coffee or lunch. 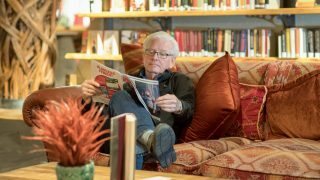 The new library provides a newfound dimension for meeting, learning and entertainment under the Stover Senter Roof. 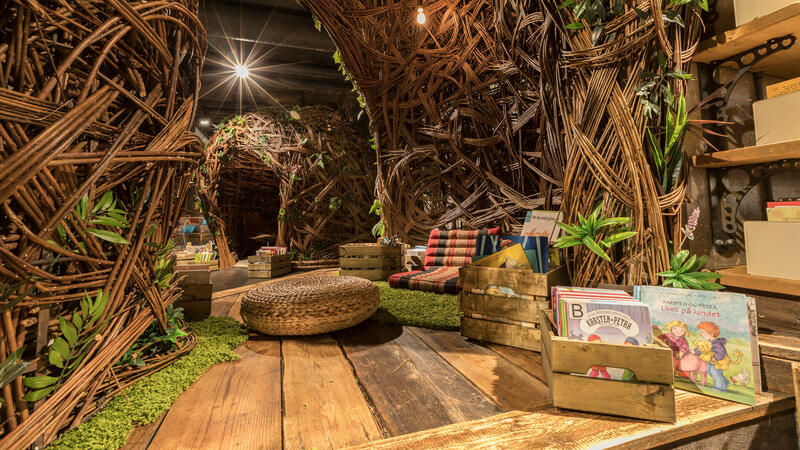 These facts inspired Vos to base the interior’s theme on a park: a relevant third place – with an ageless and non-discriminative feel for all – the freedom to relax, play, read or have a family barbecue. 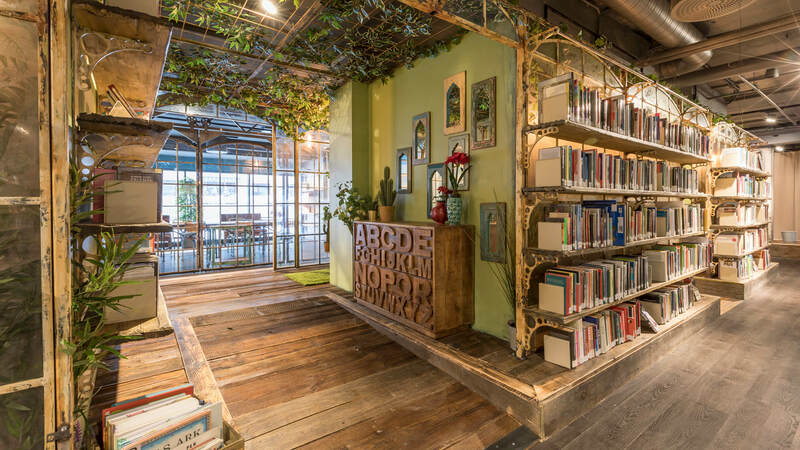 With its many green and wooden elements, the positive vibes of a park are immediately noticeable upon entering Deichman Stovner library. Inviting character aside, its social flexibility is translated into a versatile and customizable interior. For instance, furniture on wheels encourages users to rearrange it over and over again in any desired constellation serving many different needs. With the calming color green and tons of recycled* wooden elements, the park inspiration is undeniable in Oslo’s new urban living room. It contains numerous eye-catching props such as giant wooden leaves found sprouting up all over the place, a greenhouse structure, but also bird nests big enough for people to cuddle up in, and elm tree trunks (recycled from Tøyen Park) surrounded by benches to sit on. The main area is intentionally left open to be bustling with people interacting, like an open barn area representing the local area, once the home to farmstead’s wheat fields and their families. 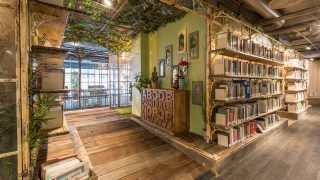 The bookshelves are no less than remarkable with a triple medley of materials: a combination of concrete, wooden planks in their original shape (with only the bark stripped away), and laser cut metal brackets, a homage to Victorian engineering. The maker space was given an industrial look and feel with elements like a retractable wall and cast-iron window frames, once housed in a Norwegian industrial factory circa late 1800s. *Natural and recycled materials native to Norway. From Trondheim there are over 400m2 of reclaimed timber used for the amphitheater and stage areas and 60m of original beams salvaged from a barn. Elements collected from a local farm and make up the bench on the stage, along with the doors and windows. 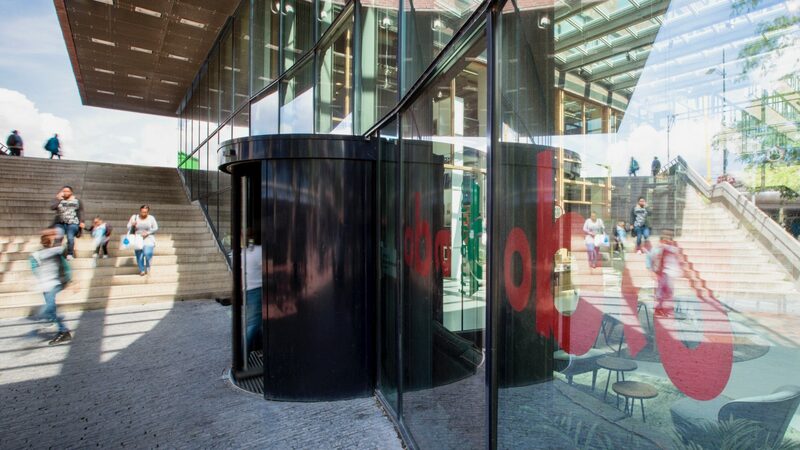 Deichman Stovner Library is a co-creation of Aat Vos (design concept, strategy, creative direction – aatvos.com) and Artisan Tech – Damian Williams & team – (production & development), in collaboration with Veideke Entreprenør AS (Distrikt Oslo, main contractor – veideke.no/oslo), and Lysteknikk El. Entreprenør AS (electrician – lysteknikk.no).